Are business to business merchants being steered to expensive EMV credit card processing solutions? Yes. Too many banks, acquirers and software companies have limited EMV terminal solutions, and none of them are the best solution for business to business (b2b) companies that have a retail component. Level 3 processing to reduce merchant fees. Card not present risk mitigation for key entered and online payments, including securing card data collection, and preventing fraud. Token billing to securely store card data for variable recurring billing. Flexibility to collect payments from multiple sources and multiple payment types. There are two types of terminals. The most common type has software loaded on the terminal. For example, the Verifone VX520 with Vx820 EMV & NFC pinpad. The second type requires an internet connection to a payment gateway. The gateway manages the terminal, which is essentially a slave to the gateway. 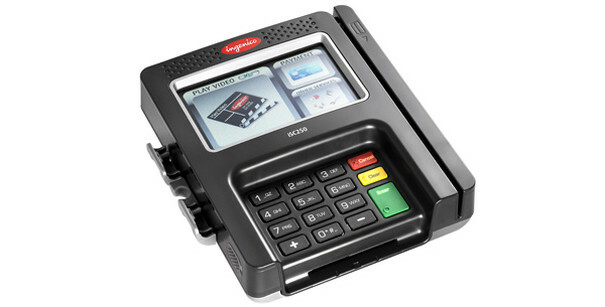 ingenico isc250 touch signature capture terminal with EMV and NFC. The first option above doesn’t meet any of the critical B2B needs, yet is the most common solution offered to every company, without regard to business type. The second option is capable of meeting critical B2B needs, but only if the payment gateway supports them. The only payment gateway with EMV certified terminal and level III processing retail certification is CenPOS. CenPOS is a merchant-centric, end-to-end payments engine that drives enterprise-class solutions for businesses, saving them time and money, while improving their customer engagement. CenPOS’s secure, cloud-based solution optimizes acceptance for all payment types across multiple channels without disrupting the merchant’s banking relationships. 3D Merchant Services is an authorized CenPOS reseller. Business to business merchants with a retail business element are advised to consult with a payments expert who offers level III processing for retail. The rest doesn’t matter if this need cannot be met, so it’s an easy way to differentiate those who are selling whatever they have to offer and those who are solving problems to make your business more profitable. This entry was posted in CenPOS, EMV, Equipment-POS, level 3 processing, managing costs, Payment Gateway, virtual terminal and tagged CenPOS, credit card processing, EMV terminal, level 3 gateway, level 3 processing, Level III processing by Christine Speedy. Bookmark the permalink.